All-in-one 28-300mm zoom is designed for full-frame Canon EF-mount DSLRs, however can also be used with APS-C models where it provides a 44.8-320mm equivalent focal length. Three ultra-low dispersion glass elements noticeably reduce color fringing and chromatic aberrations for high clarity and color fidelity. Focus Limiter switch lets you constrain the focusing to two different ranges to suit different applications: 8.2'-infinity or 2.3'-infinity. 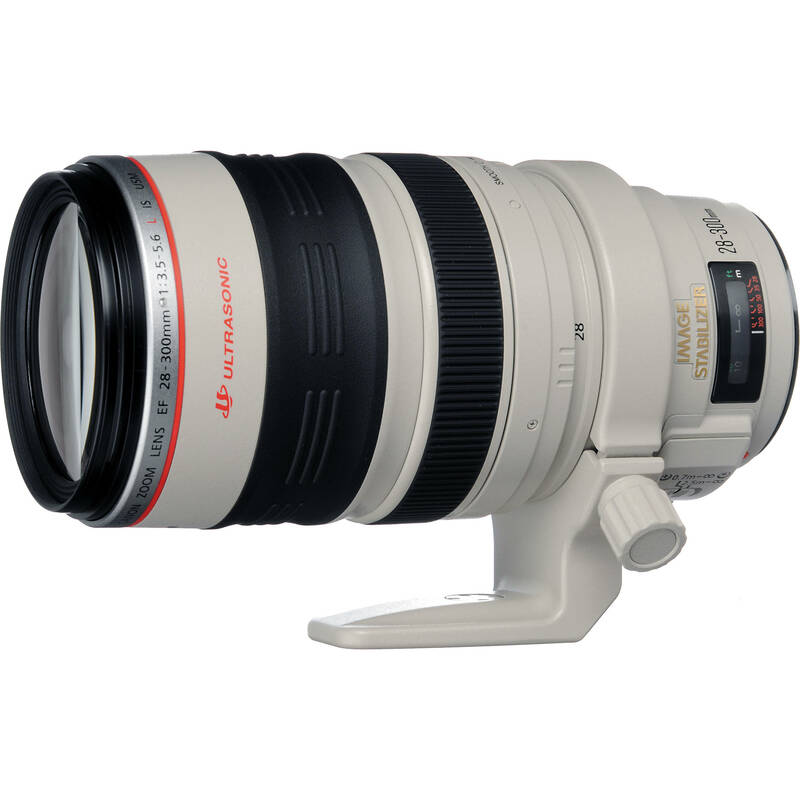 EF 28-300mm f/3.5-5.6L IS USM Lens is rated 4.7 out of 5 by 239. Rated 5 out of 5 by eleanore from Favorite lens I am a photographer that travels a lot. I find this lens the very best for traveling. On my 5D Mark II I get 1:1 and on my 7D I can get range like 44-480mm. I present digital shows of my travels to many groups every year, and they always comment on the sharpness of my images. I never have to change lens which avoids dust on sensor, and I can zoom in or out at will. I have used this lens for more than 5 years, and could not be without it. 90% of my shooting is hand held and the IS is invaluable. Carrying photo gear on flights is a breeze. It weighs no more than my 100-400 IS lens that I use for wildlife. Rated 4 out of 5 by scjurgen from Versatile but heavy It's an extremely versatile lens which is great while traveling and doing totally different kind of shots during the same time-span. I.e. visiting a town: close ups, portraits, buildings, panoramas; outdoor sports: close-ups, groups; nature: close-up, limited macro, landscape. The IS Image stabilizer will help also in lower light conditions. The push-pool zoom is first strange to handle but you soon find out how wonderful it is when you have a 'situation'. When I travel I have this lens with an additional extreme wide (10-22mm). Be prepared to some: "whoa!" when you get the camera out of your bag. This is unfortunately at the the expense of a real heavy weight and some reduced sharpness. Rated 5 out of 5 by Anonymous from I love this lens I am tired of carting around a lot of stuff. I have an EF 70-300 USM (which i love ). I shot photos at the Naples Swamp Buggy Races 01/2009 with this 28-300, I did not have to switch from the 70-300 to the 18-55 like before to get shots that where closer to me. I was amazed how clear my photos came out. I did not us a tripod, i was top row of bleachers, hand held, just snapping away. Zooming in and out. It took a little getting used to the slide motion, but once I got the hang of it it was cool. I did notice fully extended is not as close as the 70-300's full extension. But I am fully happy with it. I have excellent shots. Glad I made the purchase. Rated 5 out of 5 by fbosco from Should have bought this lens long ago! Just returned from a trip to Canada and this is the only lens I have used pretty much all the time. For travelling, I used to carry the 24-105 which I was very happy with, but sometimes felt I missed a shot because I needed an extra reach. Not the case this time. If I wanted a wide cityscape shot or take a picture of a bird flying at a distance, the 28-300 was there to cover both situations. The problem with the 70-200 and the 100-400 is that you need to carry an extra lens and/or body to cover the wider side. The f/5.6 aperture is also not an issue if you know how to work with it but, this lens paired with a high ISO camera like a 1DX or a 5D III, this becomes a non-issue. Rated 4 out of 5 by Silvertip Griz from Wake up Call for old pro This lens is a great tool - gives me the ability to pack a single lens for virtually any shot - as long as I'm willing to carry the weight. The most incredible ability to utilize depth of field and focal length in a digital format, bringing me back into an artistic mode rather than straight documentary, then getting artsy with the digital process. Whether getting a hawk soaring on the evening air currents, or an inaccessible pictograph on a rock 50 feet away, or an extreme closeup of a grasshopper with wildflowers in bloom slightly out-of-focus behind, I again have as much control as I want! Rated 1 out of 5 by mlang from Trade off for convenience I've been using this lens with my EOS 5D Mark III for a couple of months and am happy with the convenience of not having to switch lenses. At a third of the price, I would have considered it a good value for a utility lens I use whenever I feel I'm going to be in need of that kind of quick versatility. The images are consistently very soft, lacking even acceptable sharpness in most cases. It performs reasonably well, if you limit yourself to middle aperatures in the 8 to 11 range, while sticking to a focal length between 100 and 170mm. So much for the vaunted versatility. Over-priced and over-rated. The downside isn't the extra weight, it's the overall performance. Rated 5 out of 5 by Ihoe from One of the better things I've done Many of my fellow enthusiasts have the 100-400mm lens. I bought this lens before I knew what most others have. And I'm glad I did! This lens works perfectly with my 30D and my 5D Mark II. Especially on the 5D Mark II. This lens give you the best of both worlds. Wide angle and telephoto! I've had this lens for almost 3 yrs now and I wouldn't do without it. I now know the sweet spot is f/7.1 for the sharpest pictures this lens will give. Otherwise you do get a little softer focus with this lens but the versatility of this lens makes my other photography friends jealous. I have a super wide angle zoom and this lens and that's it! With my 5D Mark II and it's 21.1 MP it's like almost having a macro! I can't do without it. enough said. what is a focus limiter switch? A focus limiter simply restricts the range of distances the camera will attempt to focus at. This improves both the speed of focus and the accuracy, as it is assumed you are only interested in subjects within the range you have selected. Yes, the Canon EF 28-300Mmm f/3.5-5.6L IS USM is fully compatible with the Canon EOS Rebel T3i. What is the closest focusing distance at 300mm? The minimum focus distance of this lens at any focal length is 2.30' (70 cm). How do you adjust the resistance of the push-pull zoom? 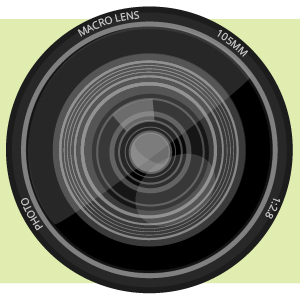 You can adjust the zooming resistance by holding the focusing ring in place and turning the adjustment ring. Turn the adjustment ring toward the word SMOOTH to reduce the zooming touch, or towards TIGHT to increase it. To lock the zoom ring in place, turn the adjustment ring towards TIGHT until it stops. Can you use this lens to shot video with? I have a Canon C100 and was wondering if the autofocus will work with this lens. Unfortunately I cannot answer your question with certainty as I use a C5D Mark III, but if I had to guess, I would say yes. It's an amazing lens, well worth the money. I've been using it on the 5D for many years and have never had anything but stellar results. Would this lens work with the new RED Raven? If so, what would the pros and cons be of using it? As the Red Raven has the Canon EF lens mount built onto the lens and is designed for use with Canon EF lenses, the Canon EF 28-300mm f/3.5-5.6L IS USM Lens would be fully compatible for use with the Red Raven. Hi I want to make sure. This lens will work with Canon C100 Mark II for video ? Yes, Canon EF 28-300mm f/3.5-5.6L IS USM Lens compatible with c100 mark 2.